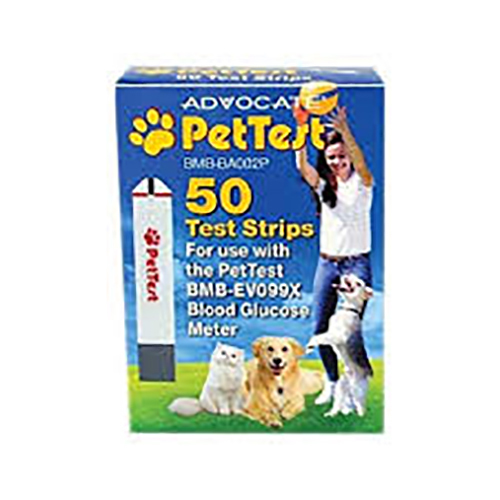 The Advocate Pet Test Strip is used with the Advocate Pet Test Glucose Meter System to quantitatively measure glucose levels in fresh capillary whole blood samples from dogs and cats. Pet Test's unique technology requires the smallest sample – a "pin-head-size" drop of only 0.3 microliters – meaning accurate results even on the smallest drop of blood. Results are obtained in 5 seconds. 50 test strips per box.